A 15-year lawsuit between the Environmental Protection Agency, Department of Justice and Duke Energy came to a close earlier this week. 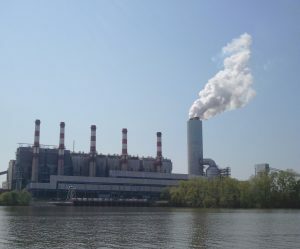 The parties reached a settlement on charges that Duke had violated the Clean Air Act by making major modifications to 13 coal-fired units without installing proper pollution controls or obtaining permits. Of those 13 units, 11 have been recently shut down. The remaining two units are at the G.G. Allen power plant in Belmont, North Carolina. As part of the settlement, Duke Energy must permanently close the 11 units, cap emissions of sulfur dioxide and nitrogen oxides at the two G.G. Allen units, and then close those two units and a third unit by 2024. Duke Energy also agreed to pay $975,000 in civil penalties and $4.4 million towards environmental restoration, energy efficiency and clean energy projects. Although these totals are insignificant compared to the $1.88 billion in profits Duke Energy made over 2014, the reduction in emissions is a victory for the environment and public health. More information about the projects and the rest of the settlement can be found here. Sulfur dioxide and nitrogen oxides are major contributors to acid rain and respiratory problems in sensitive individuals. They can also combine with other airborne compounds to create “particulate matter,” or soot, which can cause serious health effects such as cardiovascular damage and premature death. The projected emission reductions at the two units will be a combined total of around 2,300 tons per year. And, with all 13 units closed in 2024, the total emissions will be zero.